We continue today with the “What’s Your Sign(ature)” series, this time taking a look at the San Diego Padres. If you missed the previous entries in the series, you can see them at the following links: Indians, Pirates, Astros, Mets and Rays. Can a one year only uniform actually qualify as a team’s signature outfit? That’s a tough call — but when that one year uniform leads to minor league teams, colleges and even another pro MLB team copying it…it does merit consideration. What about all the other Padres unis over the years (and they’ve had a LOT)? Does one of those sets stand out as a “signature” uni? Beginning play as an expansion team in 1969, and for their first three years, the Padres had very beautiful (and simple) uniforms — a home white with “PADRES” across the chest of the homes (and roads), plus a road uni with a “SAN DIEGO” wordmark. The cap for the first two years was brown with an interlocking “SD” in gold, and in 1971 they added a cap with a gold crown. Once the 1970s got into high gear (pun semi-intended), the Padres would introduce one of my favorite uniforms for the 1972-73 season — going all gold on both home AND road. The difference was the unis said “PADRES” at home and “SAN DIEGO” on the road. They would also introduce what would become their iconic “Taco Bell” cap. The home unis had gold sanis (! ), while the road unis had white ones. You’ll note the original cap (seen on Don Zimmer below) had much more of an elongated “bell” shape. They’d tweak it after the first season. These unis were polyester, and while the jerseys were button-front, the pants would be sansabelt. While these wouldn’t count as “signature” uniforms — they laid the groundwork for decades of uniforms to follow, as the Padres were now firmly establishing themselves as a “gold” and “brown” team. Or would it. In 1974, the Padres almost moved to Washington, D.C.. Topps even went so far as to print up cards showing the Team as “Washington” and “Nat’l Lea.” The move was so close to happening, in fact, that the team had powder blue road unis made up! The move never happened, but the team would have been known as the “Washington Stars.” (As most of you know, the first Washington team left for Minnesota in 1961, and they were immediately replaced by an expansion club — which bolted in 1971 to Texas. Washington had been promised a team in the “next” round of expansion, but they were passed over in 1977, 1993 and 1998. They finally “got” their team in 2005 when the Expos relocated there). The next set of uniforms, from from 1974-1975 would be a bit more traditional (white homes/gray roads), but retaining the famous cap and the brown stirrups/gold sanitaries would become a fixture for years. The homes would have “Padres” in script across the front, while the roads would retain the “SAN DIEGO” from prior years. As with many of the early Padres unis, these wouldn’t last. In 1976 and 1977, they’d move to pullovers for the jerseys — with the home basically staying the same but the road jersey became solid brown, with raglan sleeves of gold. The brown jersey was now firmly established, so was it time for the signature uni? In 1978, the team introduced a set that would only last one year — but many consider it to be THE defining uni for the squad. 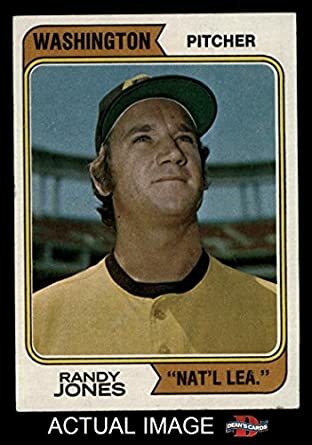 It was the epitome of 1970s design — brown AND gold tops and all gold pants, plus the signature taco cap and brown stirrups/gold sanis and white shoes. The team had a small “SAN DIEGO” over the all lower case “padres” wordmark. It was…beautiful. It’s hard to make a case that a one-year only uniform encapsulates the Padres…but it sure comes close. Apparently all that awesomeness was just too much to take, because in 1979, the Padres would tweak their unis again, and for just one year. They’d dump the solid gold jersey and pants, and arch the “padres” wordmark on their jerseys. The roads would remain brown, but “San Diego” was now arched, and spelled out in a mixture of upper and lower case letters. Friends — while this is far from my favorite look for the Padres, I would argue that THIS is their signature look. It’s one they wore for a five year span, and in that time, it cemented itself as THE classic, signature look for the team. There is a large contingent on Twitter who have abused used the hashtag #BringBackTheBrown — and it’s these unis (particularly the road uni) that they’re clamoring for. People think Padres — they think “brown.” They don’t say “Bring Back The Gold” or “Bring Back the Brown and Gold and Orange.” This set was it. After the 1984 season (a season in which they went to the World Series, falling to the Tigers in five games) — the Padres permanently shelved this look. Gone were the white shoes, the taco cap, the solid brown uni — the brown rups/gold sanis. All of it. What followed were several different periods of unmemorable and bland uniforms. The first set would retain the brown, but barely. From 1985 through 1990, the Padres would wear white homes and gray roads, with a brown cap and pinstripes, and a new “Padres” wordmark on the homes and an interlocking SD on the roads (the wordmarks were probably the best thing about these unis). There would be a faint orange outline around the brown names and numbers, and the cap was solid brown with “SD” in orange. And, the road unis had pinstripes. The next uniform set would last from 1991 to 2000 (an eternity for the Padres), and would be when they’d ditch all brown from the uniform, adding navy. The homes would basically remain the same, simply swapping brown for navy, while the roads lost the pins (thankfully), and the “SD” on the chest was replaced with “SAN DIEGO.” Both wordmarks had orange dropshadow, and the cap was navy with and interlocking S (in white) and D (in orange). Despite the longevity of that uniform, the Padres felt the need to modernize and tweak it some more, so from 2001 to 2003 they took the pinstripes off the homes (in 2001, the pins remained in the rotation, but was an alternate). The road remained the same (with dropshadow), but the home removed it. It should be noted that during this time, the Padres also introduced a navy alternate uniform top (beginning in 1997). This trend would continue to the present day. Finally, in 2004, the Padres moved into their new beautiful ballpark, named for a dog supply store. That meant new uniforms. They’d keep the navy, but add a new color, “Sand” and for a period (2004-2010), wore a non-gray road uniform. Over the years, the “sand” seemed to become less and less pronounced. The new homes would have a “Padres” wordmark in script, while the roads would spell out “SanDiegO” in sort of a bow-tie pattern. Caps were blue with a white “SD”. Eventually, the sand would become tiresome, and they’d change to road uniform to gray. They’d also change the wordmark on the roads from the bowtie to an arched “SAN DIEGO.” When they changed in 2012, they added a headspoon. After years of not listening to their fans, who have been clamoring for a return to some brown in the uniforms since the last century, the Padres introduced a new home uniform (supposedly ONLY to be worn for one year, but that remains to be seen) AND a BROWN alternate jersey. The new home uniform is white with a headspoon, and interlocking SD — and a new color — a bright gold (yellow). The new brown alternate, though, may the beginning of something great. It also marked the return of the signature taco cap, which is the first step in returning the franchise to uni greatness. Nothing will ever approach the greatness of the 1978 one-year beauty, or the timeless elegance (and signature) uni of 1980-84, but at least the return to brown in 2016 can bring the fans hope that good things are on the horizon, uni-wise, for the future. So…what do YOU think is their signature uniform? If you don’t say 1978 or 1980-84…well, you’d better have a pretty strong argument. Bring it. In case you missed it, Paul’s Friday Flashback on ESPN took a look back at the NBA’s first sleeved jerseys, which were introduced by the Golden State Warrior only three years ago. As Paul says, “Feels longer than that, doesn’t it?” His latest FF column explores how what began as a one-team experiment has grown into a league-wide blitz. Baseball News: Artist renderings of the new Rangers stadium were revealed Friday. According to the report, the stadium is expected to open in 2021 and will have a retractable roof (h/t Scott Turney). … When you have a big day ahead, always make sure to rock the ‘rups! (Nice Cards choice there, and congrats, Everett Corder). … Of course a big day isn’t always a graduation (from Brett Baker). … Check out these Filipino Softball League of Chicago uniforms from late 90s, early 2000s — very Indians/Bravesque (from MBD Chicago). … Here’s a look at the Powder blue jerseys and caps for the Buffalo Bisons — and also note the two shades of gray for the Paw Sox (from Jonathan May). Here are a few more photos from the game (from Matt Wilcott). 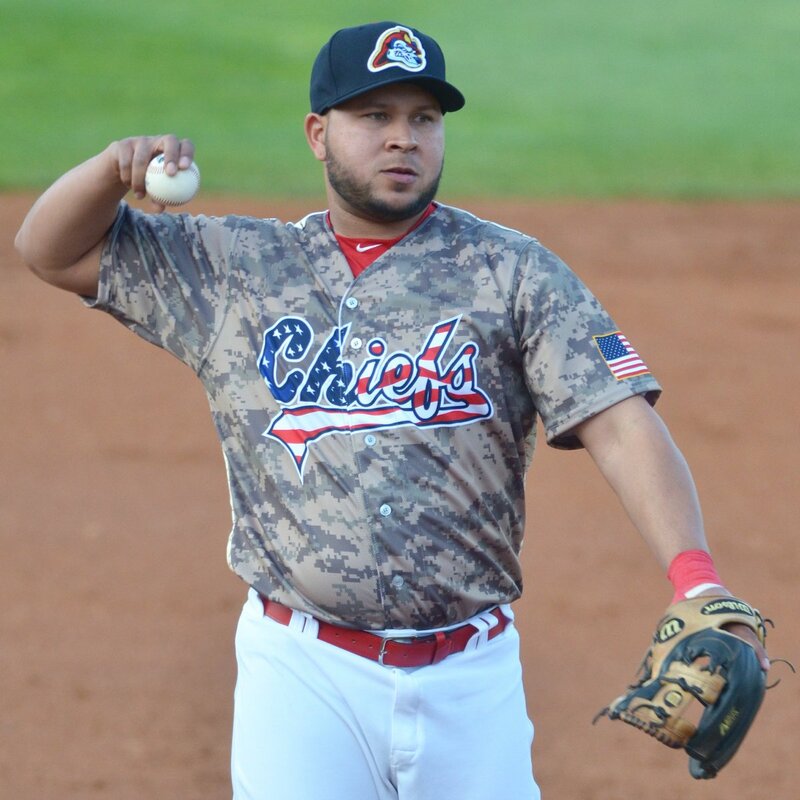 … Check out the camopander/flag desecration uni being worn by Cards SS Jhonny Peralta during his 2nd rehab game with the Peoria Chiefs. Tweeter Sam asks, “Memorial Day Weekend jerseys?” Nope. Joe Ringham has the answer. … This is just a beautiful shot of an old Giants vs. Steelers game (from Country of Baseball). … Last evening the Louisville Bats wore R2D2 Star Wars jerseys (from Ben Segelbaum). … Yesterday the Durham Bulls broke out their dark monochrome set for the first time. I like these, very much. … Good look at some nice stirrups at the Birmingham Barons game (from Zach (Avery) Johnson). … Looks like the Seattle Mariners have jerseys with more spacing issues (from Chris Sciria). … “Most ridiculous Headspoon piping ever of course it’s Nike,” says Jeff Moulden (those are BYU jerseys). Looking at the first pic, I’m wondering if they’re purposely trying to make a “Y”. … An auction house says it is offering the jersey Bryce Harper wore during his memorable dugout fight with a teammate. The Washington Nationals star says they’ve got the wrong shirt. Hockey News: A group (person?) that calls itself “The Hockey Writers” has come up with their list of the Ten “Nicest” Current NHL jerseys. Not (too) surprisingly, six of those are Original Six teams, though if you look at the list, I’m not too sure I disagree with any of the choices (except maybe the Kings). I’d probably order them differently, but it’s a solid list. Grab Bag: This is kind of an odd/interesting vest/jersey combination for Syracuse lacrosse (nice spot by Josh Vitale). … Florida A&M announced a deal with Swooshie yesterday. It’s a three-year deal. They had previously been with the 3 stripes. The 1984 Series went five games, not four. Also 1995-1990? Shouldn’t it be 1985-1990? Yesterday was “Armed Forces Day”, which might explain the MiLB teams wear camo. I like the late 80s Brown with orange Padres. May be in the minority here, but everything before that looked foolish.Not the first set but everything after. I couldn’t agree more! Except I prefer the 90’s era with navy instead of the accursed brown. Once you’ve decided that a rarely-worn fauxback qualifies, anything goes. And a bit of proofreading – the Giants vs. Steelers photo belongs in the football section. Especially when said fauxback is based on that one-year uniform. 1984 Padres is my vote. So, while there have been many variations of the Padres uniforms over the years, you can basically break it down into the first 22 years when brown was a primary color, and the last 25 years with navy blue. How Can Bryce Harper just have one lucky jersey, when then Nats have home whites, road grays, home reds and home blues? Does he have a lucky jersey in each style? I’m not surprised he would wear multiple jerseys in a game; was it Gaylord Perry who wore a different jersey in each inning of his 300th win? God what a mess of uniforms, and most of them look mismatched and random. I’ve never liked any Padres uniform as much as the original set (I hate panel and ok,”taco” caps with a burning passion I reserve usually for cancer, Aids, and Trump), although the mid-90s navy and orange dropshadowed one was almost kinda not bad. So me, I go with the original ’69 issue. They never improved upon it. As a native San Diegan, I approve this message. It’s hard to choose because there are so many options, but I think your favorite and your signature look is spot on. But as with all SD sports teams,they have the best (if not most recognizable) unis in sports that the fans love, but the team won’t bring it back. I’m wary of declaring any team’s “signature look” to be either what they wore when I was an adolescent, or what I wore playing youth baseball. And that’s the case on both counts for the 1980-84 Padres. Spent two summers wearing a brown polyester pullover. But screw it, sometimes your sentimental favorite really is the best. Were the 1980-84 Padres uniforms particularly good baseball uniforms? Nope. But are they the definitive Padres look? Absolutely. The good thing for the Padres is that the 80-84 unis offer a strong general identity with much room for improvement and updating in the details. If the team ever wanted to get back to basics and go brown, the 1980-84 unis should absolutely be the starting point for a new design. And while I always liked the tan roads – one of my favorite baseball unis of the 2000s – they would make so much more sense as the road outfit for a team whose primary color is brown. Cincinnati Reds wore camopander unis yesterday. I liked the ”“SanDiegO” in sort of a bow-tie pattern” but NOT the colors used with it. As far as them returning to a look for them anything 1974-79 would be my sweet spot. Excepting the 1972-73 uniforms (a bit much even for me) anything pre-1985 would be a major upgrade. I don’t know cars that much at all and these may not be the best examples but the Padre’s look/style from 1985 on has ranged from the Chrysler K cars to the Nissan Cube. 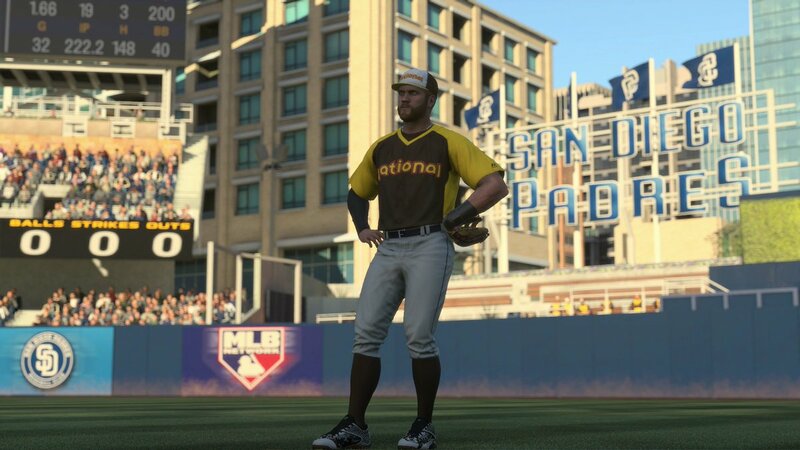 As much as I personally dislike the Taco Bell unis, I agree that 80-84 is the Padres signature look. Since then the Padres have been drifting along in the uni-verse in search of an identity. They’ve had some interesting ideas like the bowtie wordmark, but they somehow all seem like half hearted measures with little conviction. I loved the navy and orange color combo, but the unis themselves were as dull as dishwater. I forgot to add that I just want to see the Swinging Friar on the uni. I love that little guy! Yesterday, all ACC teams wore “Strikeout ALS wristbands. 80-84 is THE look! Simple, yet recognizable, love it! I really like the simplicity of Padres uni from their inaugural season. Had not seen that one. Keep up the great work. I look fwd to this feature every Sunday. The Ticker entry about The Giants v Steelers photo is located in Baseball, but should be moved to Football. I agree the 1980-84 taco bell unis are the signature. Though. the uniform had its special time and should not be brought back. I would like to see the Padres go back to brown full time. Aspects of the original 1969 set combined with the present brown alternate could be the base of a really good redesign. Solid brown hat with yellow “SD”. You are welcome Leo, happy to find it for a fellow Uni-Watch reader. I’m afraid after years of mediocre uniforms, the Padres don’t look good to me in any style. I’m now predisposed to hate whatever they wear. I can’t say I feel that way about any other team in any other sport. Calgary’s unis ranked 6th? Strongly disagree, Calgary’s unis are rubbish, except for their now-rarely-seen throwback. The Flames jerseys were pretty good when they introduced them prior to the 03-04 season, but once they changed to the Reebok look the added lines and everything became a mess. The Throwback look is nice, it would be great if they’d also bring back the whites that they used to wear during that time. It’s a shame they seem to have relegated the throwback look to once or twice a year. I wouldn’t mind them bringing back the striped one they used during the outdoor game either. DO THE OAKLAND A’S NEXT! Lots of good uniforms, and they had their polyester spree! The Signature Look is either 78 or 84, and the reason I say so is that these are the jerseys you most commonly see now. I know that doesn’t necessarily make sense, but the current throwbacks that you most often see (Winfield or Gwynn) are helping to cement the look. My favorite though are the 91-00 road, grey with blue and orange. Very sharp look, Cammy played in that one, and that’s the one they wore to the World Series. Anyone remember the short phase where they were trying to get us to buy orange gear in the team store? I can’t tell if it’s just the angle, but it looks like the gentleman in this picture was Breathing Ethier before it was cool. My least favorite Padres uniform is the utterly generic 2000s home alternate with no pinstripes and just navy blue lettering… and a plain generic number font too. The Padres always had interesting number fonts throughout their history. Even the staid late-’80s home uniforms benefited from the somehwat stylish numbers on the backs… then they dumped those for that boring block font when they went to orange-and-blue. The best would have to be something with brown and that classic fat number font. Either ’78 or ’80-’84 would be fine with me. The only reason people remember the 1980-1984 uniforms came because of their first WS appearance and it was one of the rare times in their early history that they kept the same uniform. The introduction of orange into the mix with the racing stripes was pretty ugly. It has to be 1978. That was an original and a classic, they should have used it longer. I always remember that uniform from the Gary Coleman tv movie, “The kid from Left Field”. 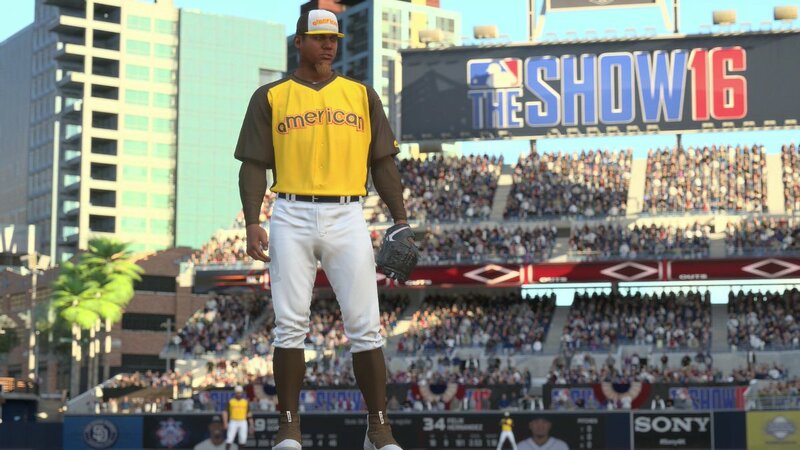 I wish every MLB would make a faux-back jersey using that template. They had 4 future HOF on that team: Winfield, Smith, Perry and Fingers. And then there was Mickey Lolich and Gene Tenace on that team as well. Then you had George Hendrick, Oscar Gamble and Randy Jones. The 1978 road uniforms are my all time favorite, but the signature look is the 1984 home uniforms. The ‘sand’ is very underrated, all the more when they lazily reverted to standard grey road unis. And there was definitely a trend toward the color being less pronounced, less yellow. I have a jersey that barely looks different from a grey one when they aren’t right next to each other; not clear if that’s from washing or a deliberate toning down of the intensity. That brown just never seems to be right in any uniform, any where EXCEPT the Cleveland Browns.